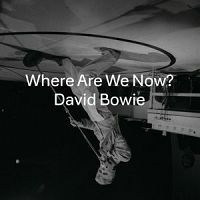 The song David Bowie - Where Are We Now? is professional recreation. It is not by the original artist. It's No Game David Bowie Your browser does not support the audio tag. Kingdom Come David Bowie Your browser does not support the audio tag. Let's Dance David Bowie Your browser does not support the audio tag. Sweet Thing David Bowie Your browser does not support the audio tag. Teenage Wildlife David Bowie Your browser does not support the audio tag. Where Are We Now? David Bowie Your browser does not support the audio tag.